Tonight we are going to MaiLy's and Tuan's house for dinner. Since Maily will be cooking up a storm I volunteer to take care of all the desserts for her so she can devote all her time cooking for us. 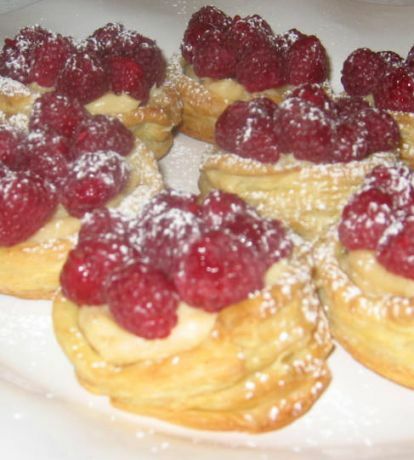 Tonight, I am making a Raspberries in Puff Pastry. I decided to make a Tres Leches, a custard made from three kinds of milk (Evaporated milk, condensed milk, and coconut milk, combining with a puff pastry in a French style dessert that hopefully will result in a not so usual dessert. 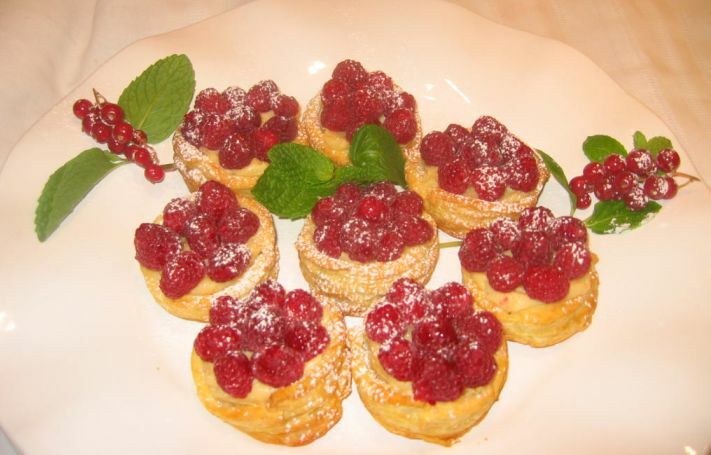 Usually, the classical Crème Pâtissière is used for filling but I am glad I kicked up a notch by using the Tres Leches custard. 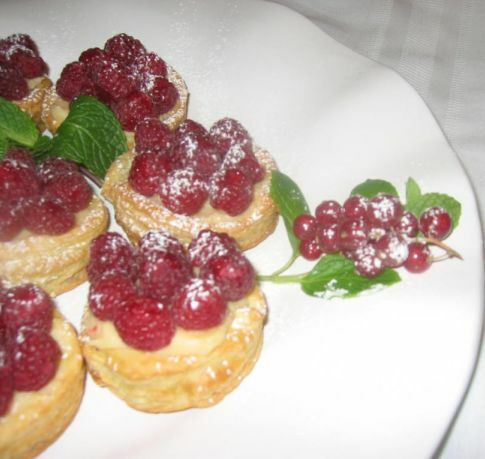 This dessert turned out to be a hit. The custard is so good! The evaporated and condensed milk gave the custard a richness and the coconut milk gave a really nice and exotic flavor. 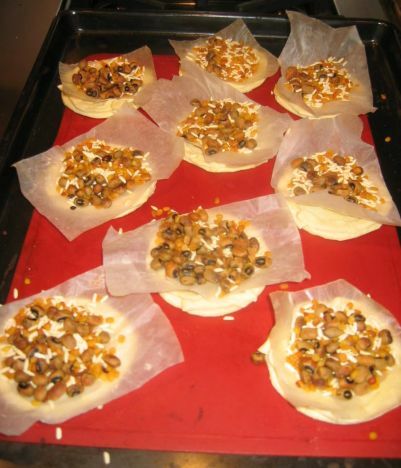 The shell is made with store bough puff pastry sheet. 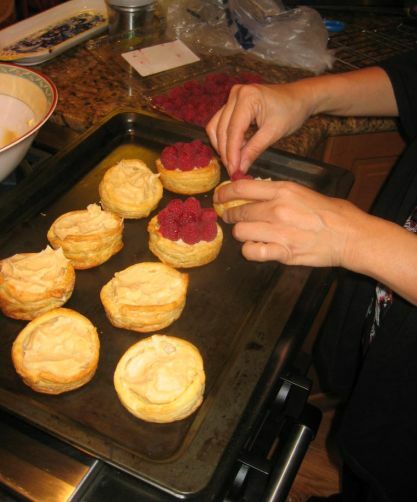 Here I am cutting the puff pastry into small circles. 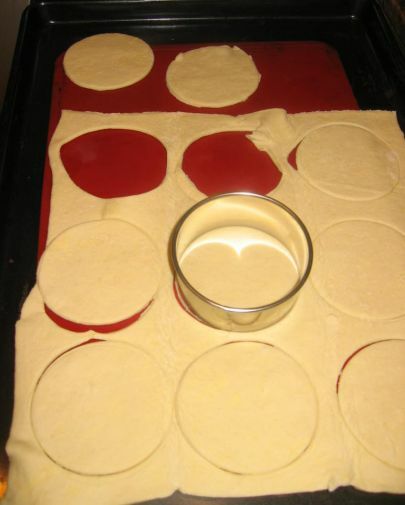 Next, I am putting weight in the middle of the circles so it does not rise. Out of the oven. 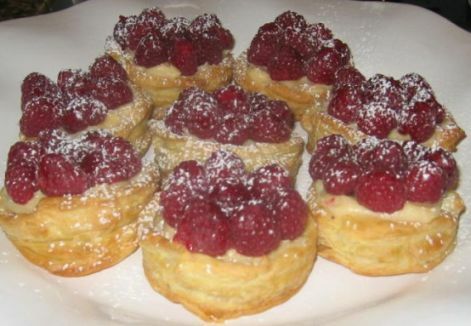 only the exterior of the pastry is puff up. 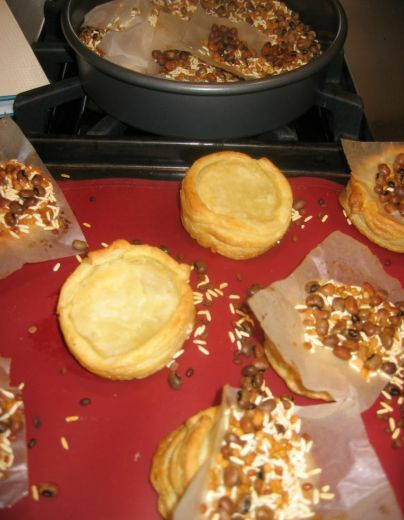 Peparing the Tres Leches custard by bringing to boil evaporated milk, condensed milk, coconut milk and sugar. 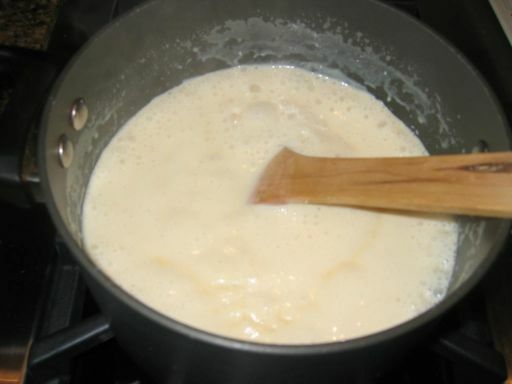 The mixture is then reduced down until it has thicken. 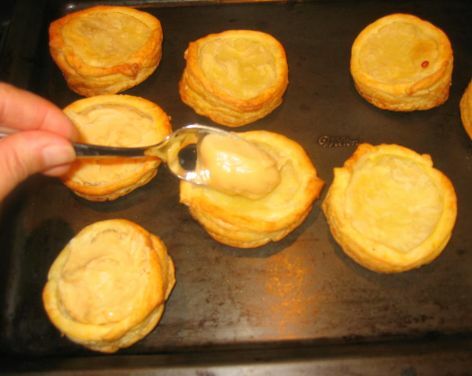 Filling the pastry shells with the Tres Leches custard. 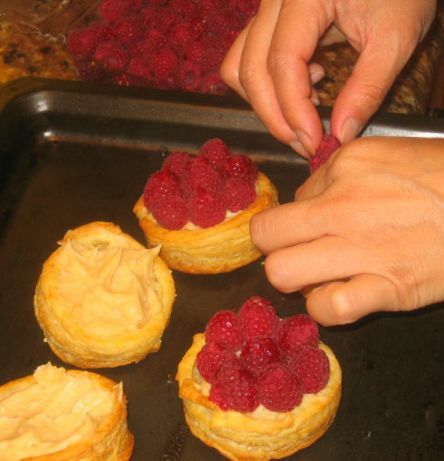 Adding the raspberries on top of the custard. 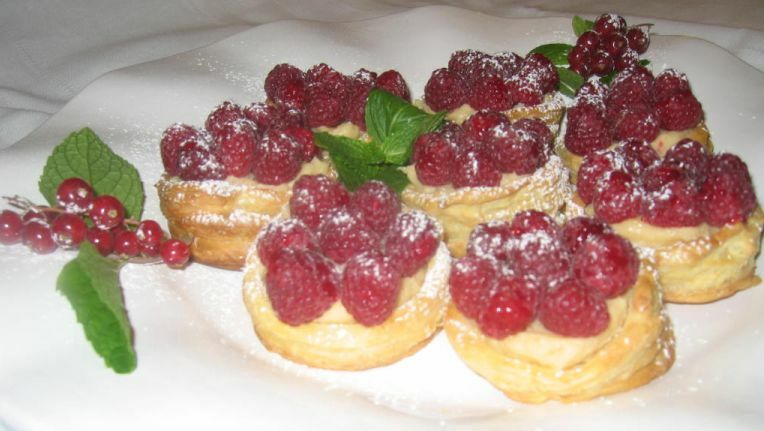 Then final step is a few sprinkles of powdered sugar and voila it is ready to be eaten.